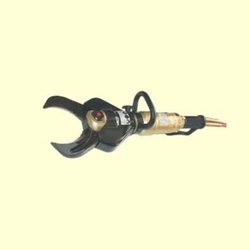 We are offering Hydraulic Conductor Cutter to our clients. 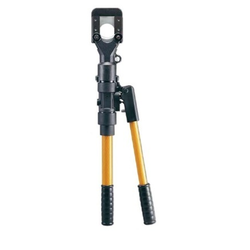 Being a noteworthy enterprise of this industry, we are offering a wide spectrum of Hydraulic Rod Cutter. Erkat is the leading manufacturer of hydraulic drum cutter attachments for excavators worldwide. The wide range of products includes transverse & longitudinal cutters, wheel cutters, hydraulic rotation units, patch planers and auger drilling equipment. Usage: AS PER CUSTOMER'S REQUIREMENT. Model: PARAS HYDRAULIC IRON CUTTER WITH THREE DIES. Jayem Manufacturing is a prominent name among manufacturers and suppliers of a comprehensive range of high performance construction equipment like hydraulic bar cutter, hydraulic bar cutting machine and high production hydraulic bar cutter, specially designed keeping the various requirements of construction industry in mind.